Bradley Cooper dramedy and Wes Anderson quirkfest lead all comers for this year's anti-Oscars. Hollywood is literally getting into the Spirit of the awards season. The nominations for the 2013 Independent Spirit Awards were announced Tuesday, and "Silver Linings Playbook" and "Moonrise Kingdom" lead all hopefuls with five nods apiece. In what essentially amounted to a major sweep, "Silver Linings" nabbed nods in all five major categories: Best Feature, Best Actor (Bradley Cooper), Best Actress (Jennifer Lawrence), Best Director (David O. Russell) and Best Screenplay. Oscar-buzz cheat sheet: "Life of Pi" and "Silver Linings Playbook" neck and neck? 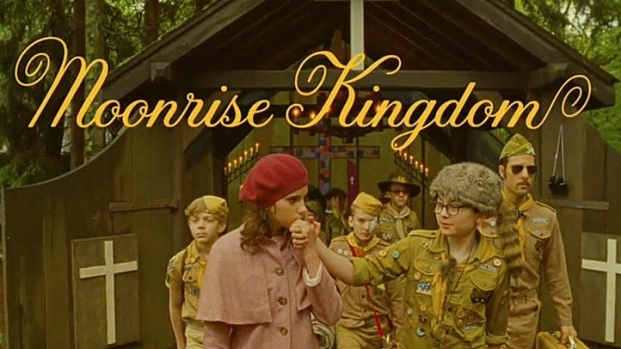 From director Wes Anderson comes this story of a young boy and girl who run off together, igniting a town-wide search. Starring Bruce Willis, Edward Norton, Bill Murray, Frances McDormand, Tilda Swinton, Jason Schwartzman, Jared Gilman and Kara Hayward. It'll be going up for Best Feature against "Moonrise Kingdom," "Beasts of the Southern Wild," "Bernie" and Keep the Lights On. The nominations also included a slew of other boldface names: Rashida Jones scored a screenplay nomination (along with cowriter Will McCormack) for "Celeste and Jesse Forever;" Helen Hunt is in the race for Best Supporting Female for her revealing performance in "The Sessions;" and Bruce Willis nabbed a Best Supporting Male nom for "Moonrise Kingdom." One pleasant surprise? Willis will be going mano a mano with "Magic Mike's" Matthew McConaughey in that category. Guess the stripper bonanza wasn't all about beefcake pecs! Oscar-buzz cheat sheet: "Lincoln" wins in a landslide?! The Spirit Awards are often considered a hipper, more buttoned-down antidote to the Oscars, with stars showing up barefoot and kicking back at a seaside tent along Santa Monica beach the day before the more glammed-up Academy Awards. Although the Spirit's winners often tend to skew art house and diverge from the year's big Oscar victors, last's year's crop was uncharacteristically in sync with the Academy's picks: Eventual Oscar champ "The Artist" also nabbed Spirit wins for Best Picture and Best Director.